Weight Loss Solutions Sunshine Coast surgeons provide Hervey Bay obesity surgery consultations. We are pleased to provide Hervey Bay obesity surgery consultations for patients on the Fraser Coast and Wide-Bay Burnett regions. Our surgeons offer monthly consultations from The Medical Centre @ Hervey Bay (next to the Transit Centre). We perform your surgery at either of our two Sunshine Coast locations. Choose from Noosa Private Hospital or the Sunshine Coast University Private Hospital. By coming to you, we will dramatically decrease travel time for your pre-operative and post-operative appointments. Our experienced bariatric dietitian is also able to perform Skype consults directly to your home. We hope this service provides you with the tools to achieve your weight loss goals. Why is your surgery performed on the Sunshine Coast? 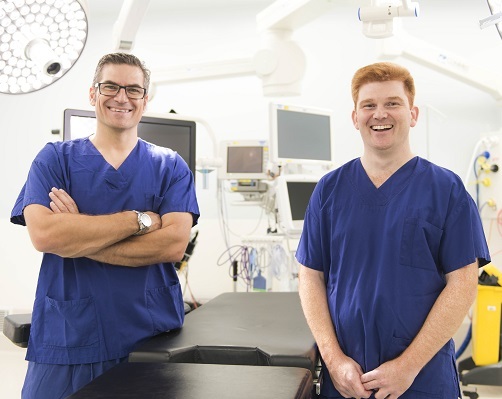 Sunshine Coast University Private Hospital and Noosa Private Hospital meet the standards that we expect to manage complex surgical procedures such as those performed for weight loss. Both hospitals have a high-volume bariatric service. This leads to experienced anaesthetists, theatre staff, medical consultants, ward staff and dietitians. This is imperative for the safety of our patients. It has been proven that patient outcomes (including safety and long term results) are better when surgery has been performed in high-volume bariatric centres. Two surgeons will perform your operation. Both surgeons live on the Sunshine Coast and this means our team are available around the clock for peri-operative support. Our surgeons are fully qualified general surgeons with further sub-specialty training in bariatric and upper gastrointestinal surgery. Both trained in Brisbane and in high-volume specialist bariatric centres. They perform all operations as a surgery team, regardless of which surgeon or Sunshine Coast hospital location you choose. This means you get the unique benefit of two qualified specialist surgeons during your operation. We can integrate our surgical care with these services for Hervey Bay/ Fraser Coast and Wide-Bay Burnett patients receiving pre and post-operative treatment. Find out more about our surgical team, or contact us below.